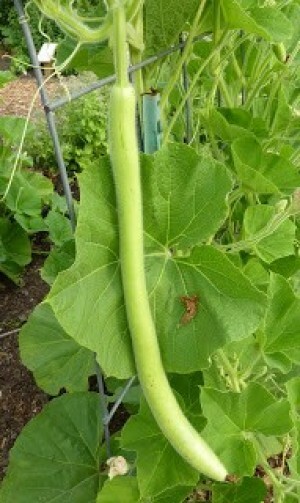 An Italian variation of bottle gourd, this variety grows long and slender. Picked when it is still small it can be eaten like zucchini. When allowed to mature it can be dried and turned into objects such as durable containers, churns, ladles, spoons, pipes, carved objects and musical instruments.